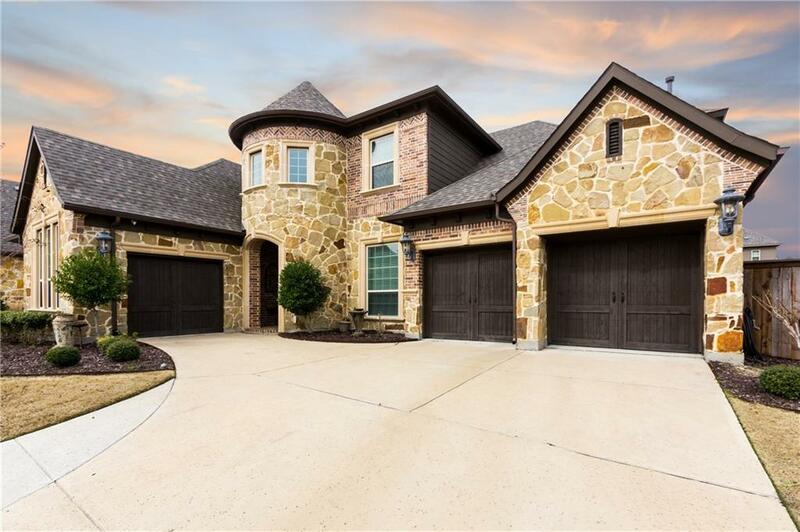 Amazing West Frisco 2-story Standard Pacific home with upgraded stone elevation features charming open floor plan and many upgrades. 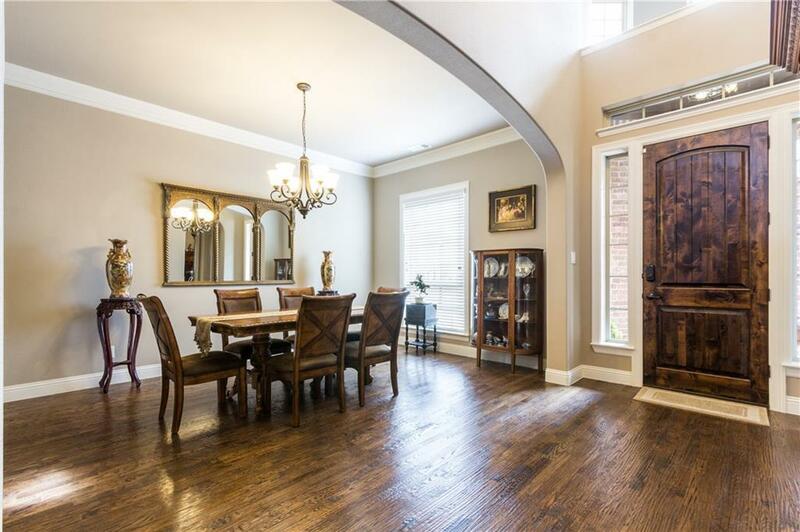 Walk into a beautiful entry with soaring ceilings, custom crown molding and exquisite lighting. You are then met by a gourmet kitchen boasting newly upgraded lighting, convection oven and microwave. You'll have more than enough storage with the extensive white cabinets and walk-in pantry. Enjoy the gorgeous granite island with under mount sink, stainless steel appliances, and nail down, hand-scraped wood floors. Three of the bedrooms have private en-suites baths. 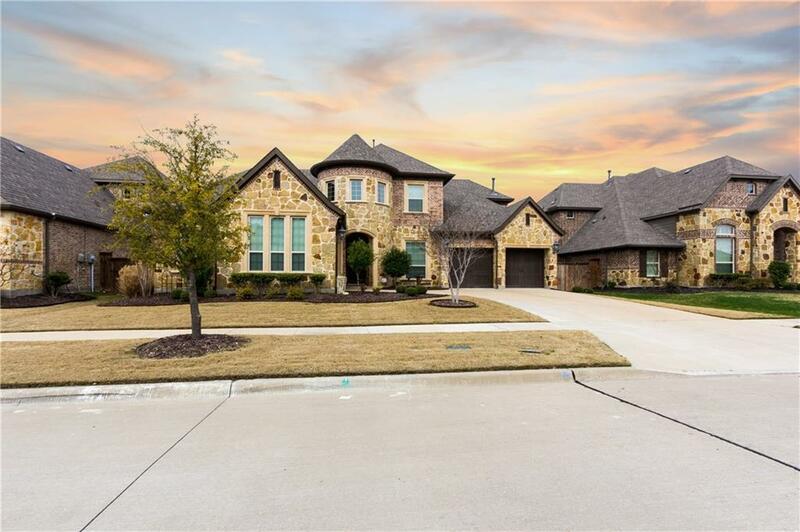 Relax in the tranquil master bath with extended beauty niche and upgraded hardware and double shower. 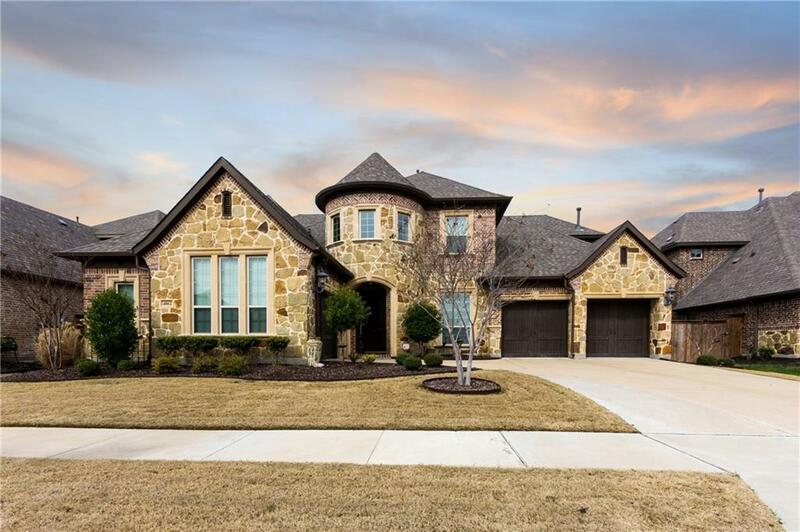 Offered by Pamala Lambert of Keller Williams Realty Plano.